I'll bet Chip or one of his crew designed the model while residing near Phoenix and used this jet on a stick as their subject. Can't locate any such thing as a Coffey Aviation Museum, but wherever that F-84 is now, it is probably wearing new colors and new numbers. Sounds like I may have just asked "how many licks to get to the center of a toosie pop?..." Oh well, still a fun build! 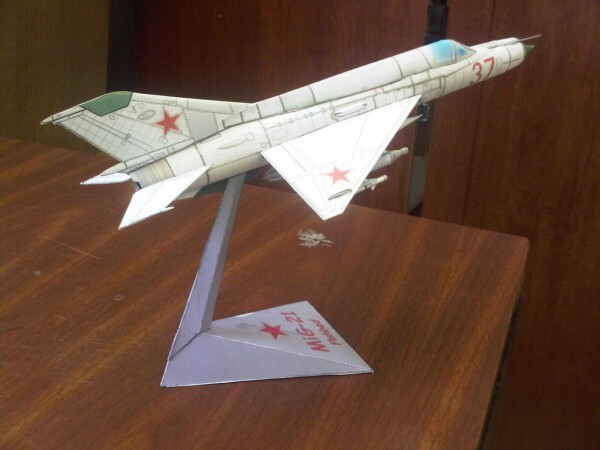 Here are some shots of my most recent completion, the Mig-21. I enjoyed this build, and the only difficulty I encountered worthy of mentioning is that the gear doors were too small to cover all of the wheel well areas. I may have caused this myself when I printing if I forgot to turn off the "Shrink to fit" button (for some reason I cannot get this to stop being the default setting, and I have to remember every time!). Oherwise a fine little model. Good job Dr. John Glessner! whoa!!!!!!!!!!!!!! !....great build dude!!!!!!!!!!!!!!!!! koooool beans too!!!!!!!!!!!!!!!! 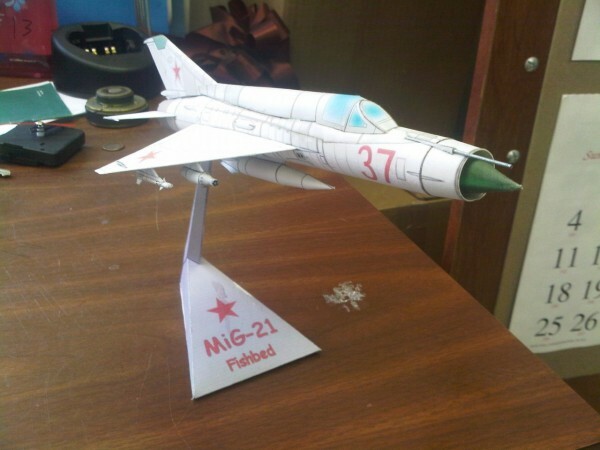 That's a great Mig. I don't know how you managed to build the missiles so perfect, but wow! 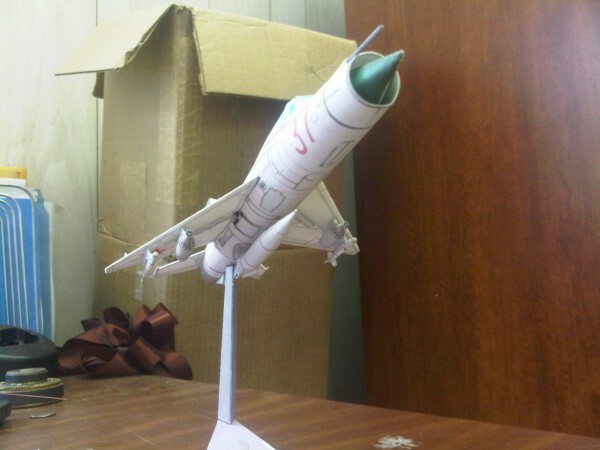 I had one of John's Migs nearly completed shortly before the strike of the toddler occurred. It has since been scrapped. I'm due for another one. Willy, how goes the 1:1 rebuild at your place? Hahaha. Very funny. Well, not really. Things are moving along. I'll post some before and after pics when it's about done. In the appropriate place of course. I don't think Jobeaux would appreciate pictures of my basement project on his build thread. Thanks for the compliments gentlemen. 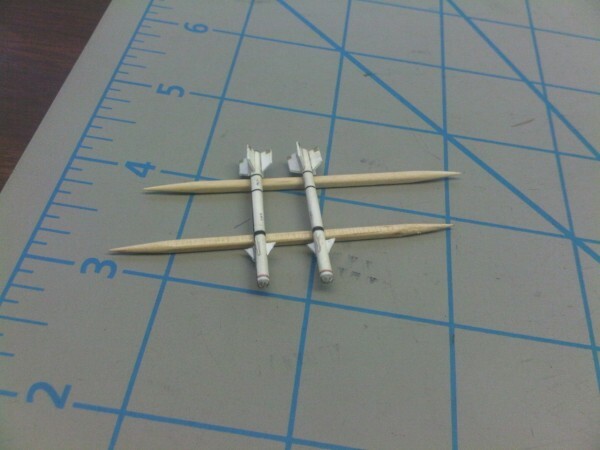 I don't know how you managed to build the missiles so perfect, but wow! Would that make me a "Missileer?" I don't think Jobeaux would appreciate pictures of my basement project on his build thread. Au Contraire, I would never presume to dominate a conversation just because my name is at the top of it... "Let threads wander where they may." seems as good as any other motto to live by on the internet. Unless it gets nasty, then let's just say I have a friend on another forum who has this boat... Besides, I spent years trying to be a craftsman in jobs where just slap it on there was the expected method. If you put half as much effort into your house as you do models it should be worth seeing! Yup. Feel yourself growing fins or control nozzles yet? Hee Hee heeheee!! And thats how internet legends get born! We should start something and see if we can get Dave's boat to make an appearance here. 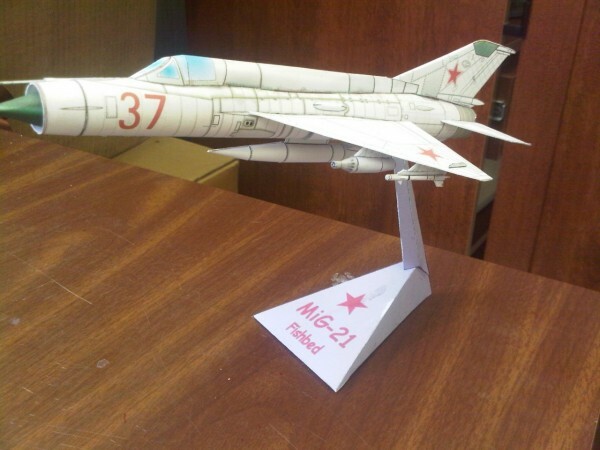 What a magnificent MiG! Well done jobeaux . Aahhh yes, Dave's boat. What pretty butterflies. While Dave's boat amuses me, and I whole-heartedly approve of her intended purpose, I hope she is never needed here!